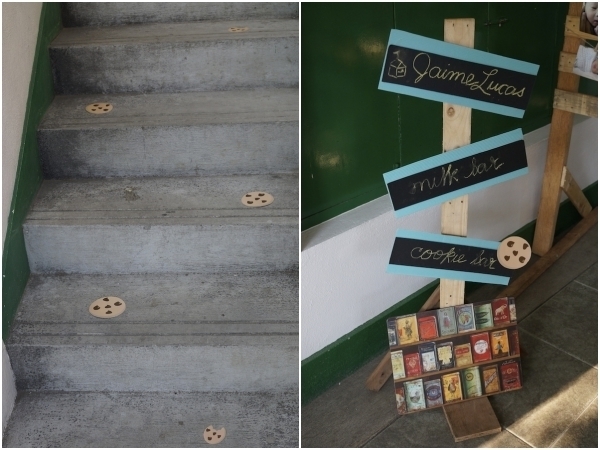 Notice the little cookies on the steps? 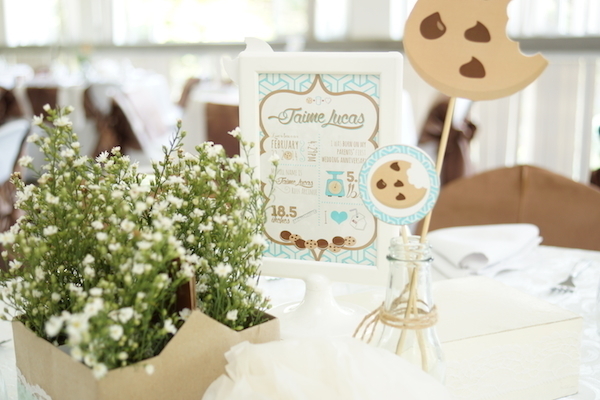 It was a walk from the parking lot to the reception hall, so guests were asked to follow the cookie “crumbs” that led to the venue. We had some palo tsina lying around the house so I asked my mom’s gardener to make me a photo wall. 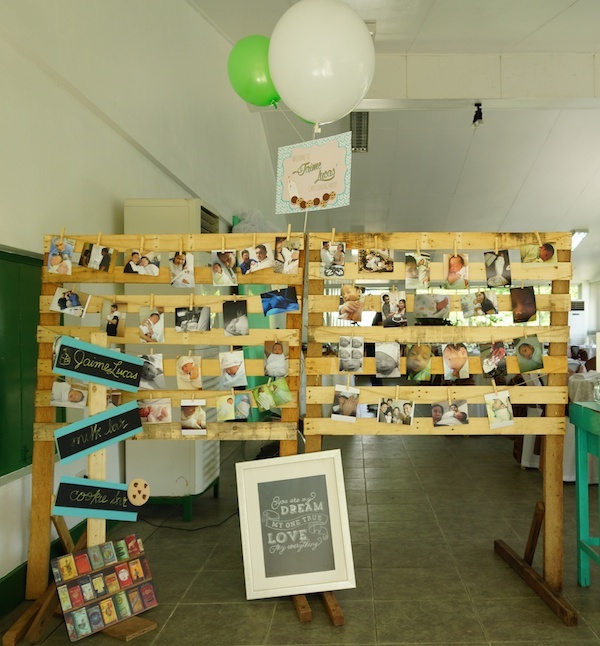 I matched it with some jute string and wooden clips and ended up with this rustic-looking gallery to showcase our precious moments in! I was so tempted to have this as a permanent fixture in our home! 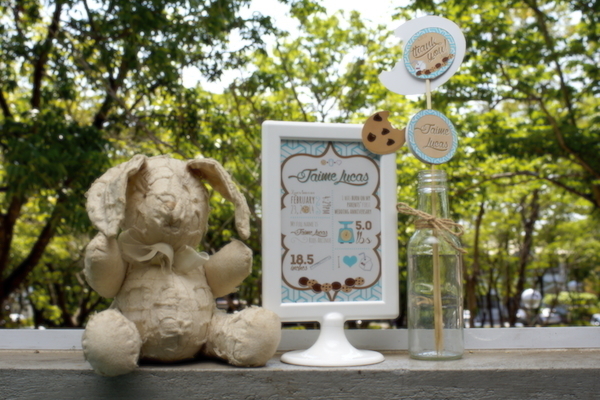 You’ll be seeing a lot of my bunny stuffed toy. It was Easter Sunday after all. 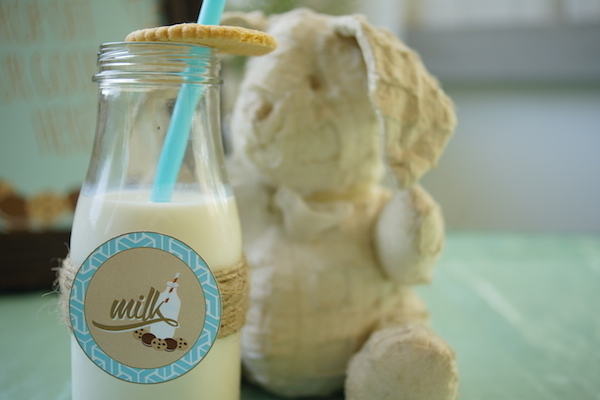 The perfect combination that is cookies and milk! 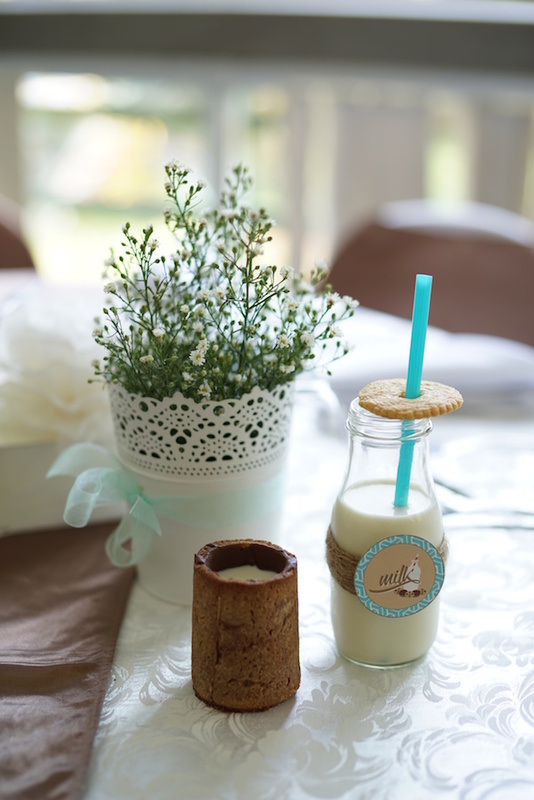 I love how simple and dainty Baby’s Breath is. 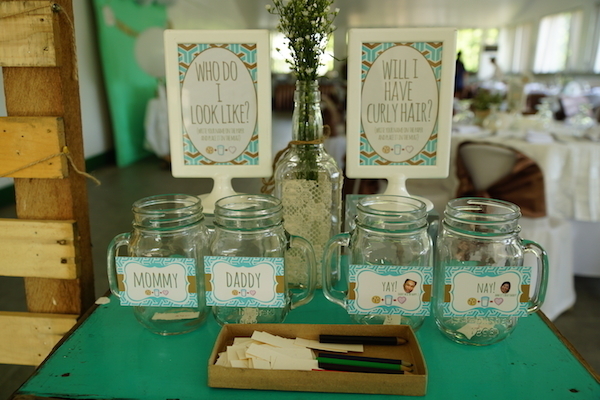 It’s easy to arrange and budget-friendly too! 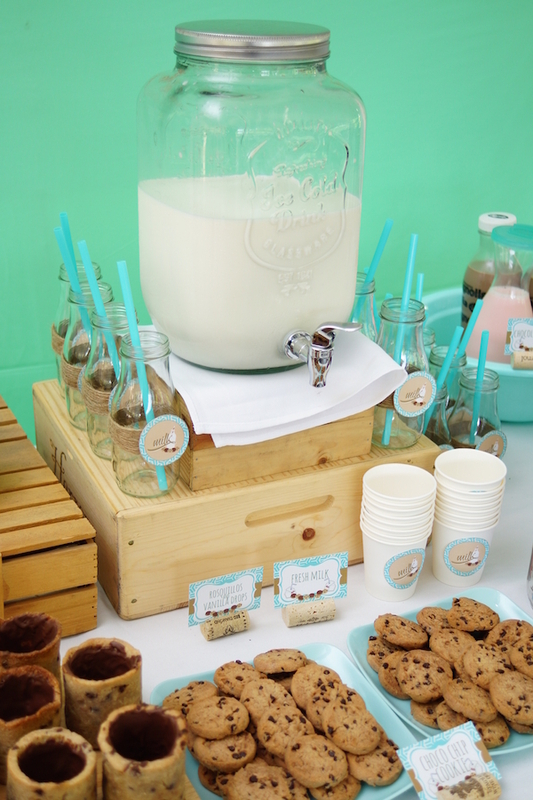 Our cookies and milk bar was a hit! 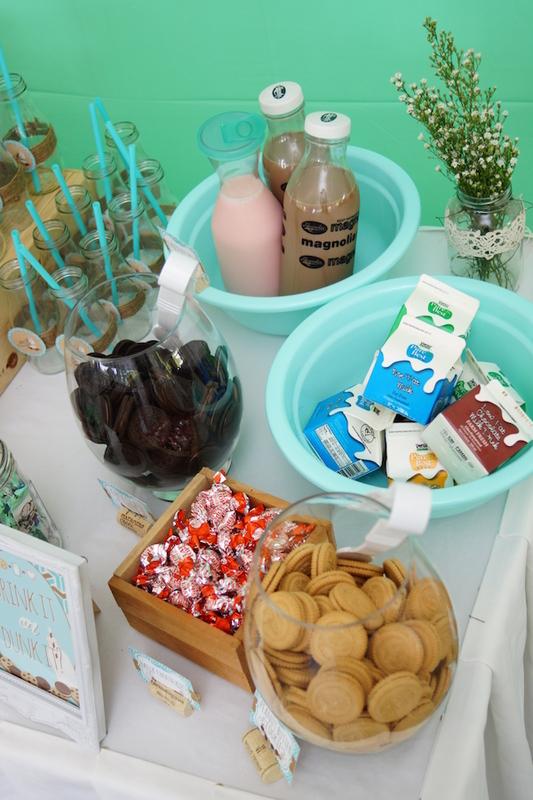 We just used stuff that we had at home to come up with this pretty dessert table. I loved how coordinated everything turned out to be! 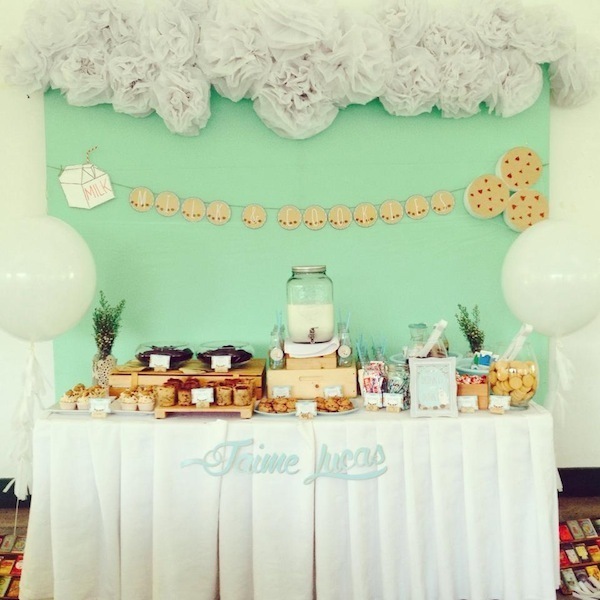 The styling was a family affair: from the paper pompoms handmade by my sister Marian, to the styro cookie choco chips cut-out by my niece and nephew, to “Jaime Lucas” carefully cut by our family friend, Jacciah and to getting floral arrangement assistance from my DIY-party-newbie in-laws! 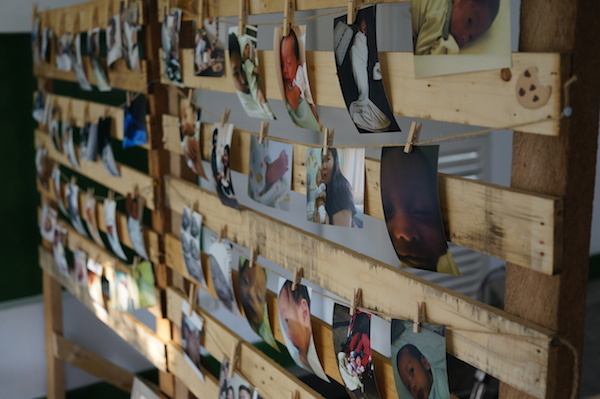 And that’s just listing a few of the many little projects we did for this party. 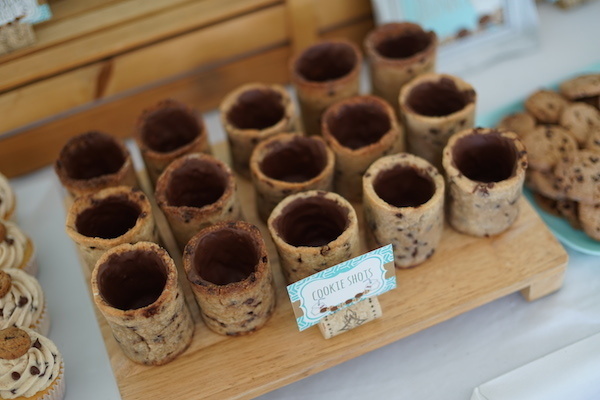 And of course, the star of the cookies and milk bar – cookie shots! 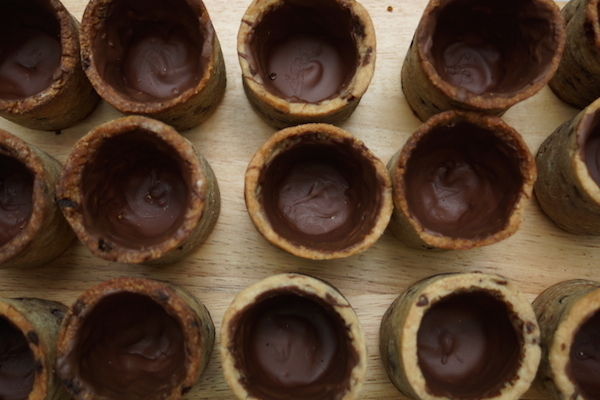 Who can resist these cookie cups lined with milk chocolate. Did someone say “yummy”? 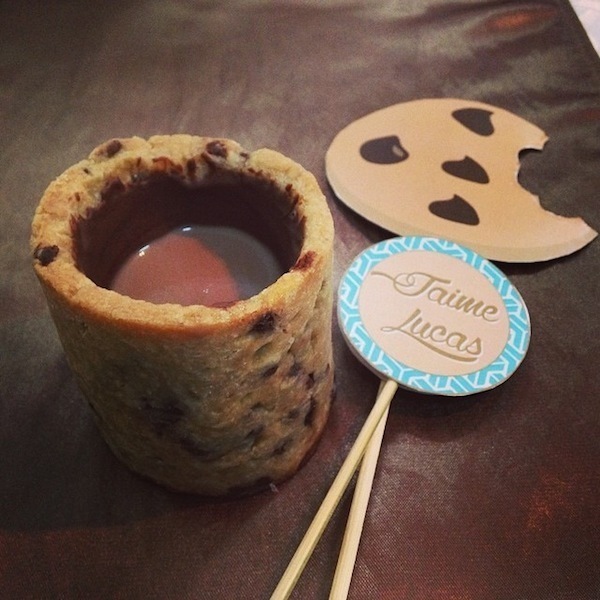 Perfect for drinking your milk in! Who says you can’t have the best of both worlds? I like the idea of customizing party elements to one’s theme. 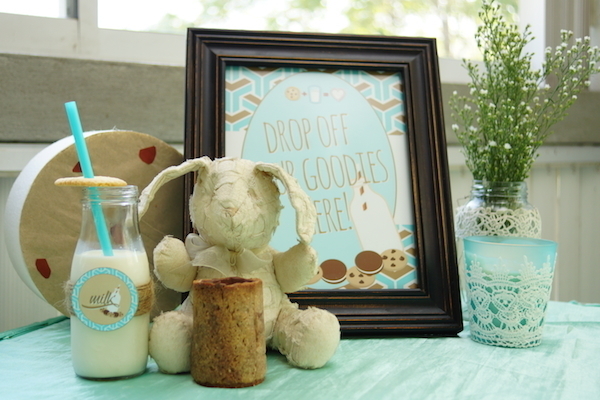 See how easy we were able to do it using printables that we placed on our paper cups and milk bottles and the paper bags that guests used to bring the goodies home! 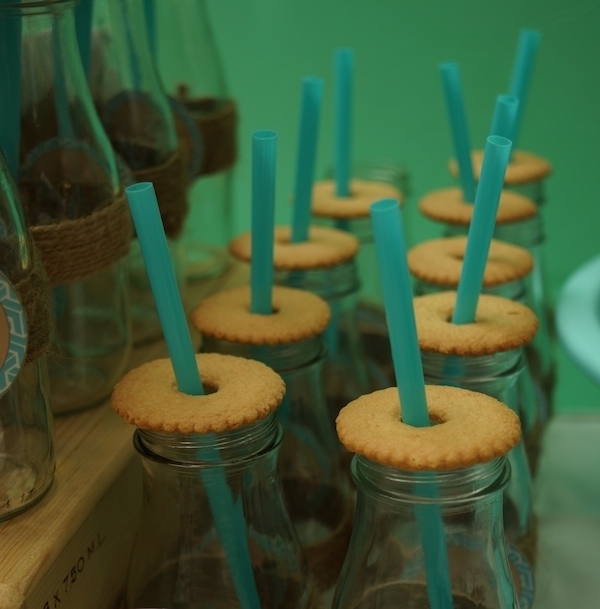 Magnolia old school milk bottles, for the win! I feel nostalgic every time I use them! 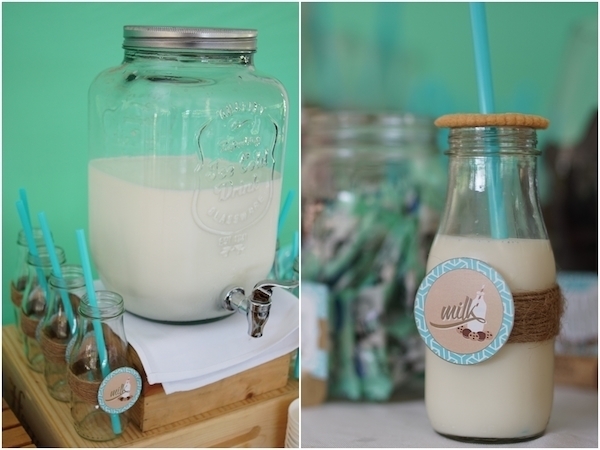 I’m always reminded of all those years of drinking milk from Magnolia glass bottles when I was little! I’m so glad I’d keep these bottles every time I drink my Starbucks bottled coffee. I knew one day I’d have use for them. Starbucks Coffee bottles doubling as milk bottles. 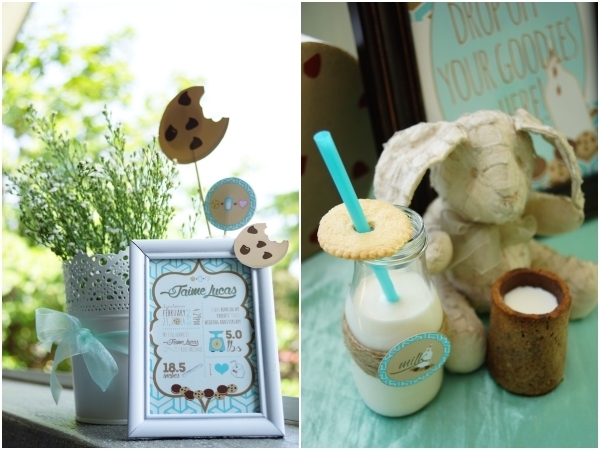 Printables (among other things) c/o Marian too! 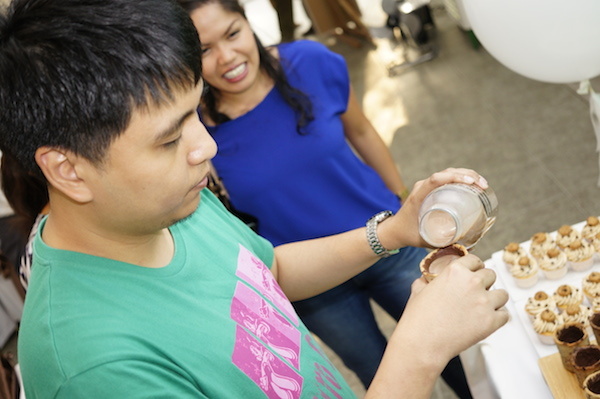 Paper cups from SM Hypermarket. 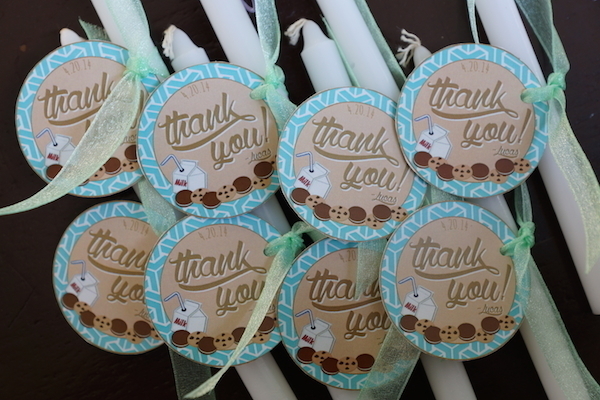 I love using these because I can easily customize them with stickers. Oreos and Chips Ahoy were gifts from a good friend while the rest of the bar snacks were bought from the supermarket (milk cartons, Haw-haw, Flat Tops, Mik-Mik, etc). The cookie jars were borrowed from a good friend. Love, love, love it! 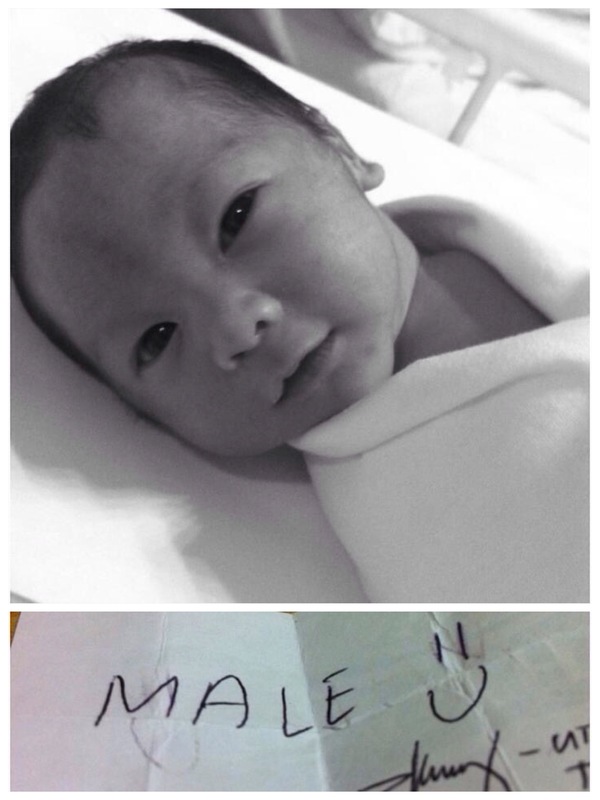 Congratulations for sure your baby Lucas will bring in tones of wonderful memories to cherish in your lifetime. BTW- I don’t drink milk but sure I could use the good ole Magnolia chocolait in a bottle. Cheers! I loooove it! 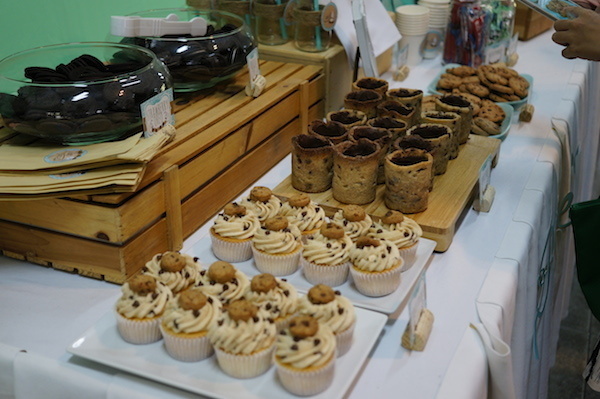 The desert buffet is also love! Aww! I love this cookie party! I like doing DIY parties too. 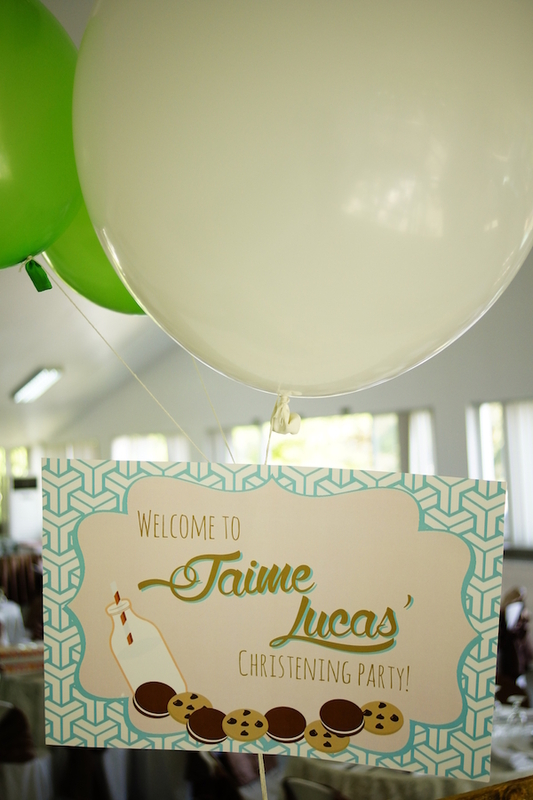 On my kids’ first birthdays, the themes I chose are Hawaiian and Race Car. Awww what a pretty party! I should’ve seen this theme 2 years ago haha. 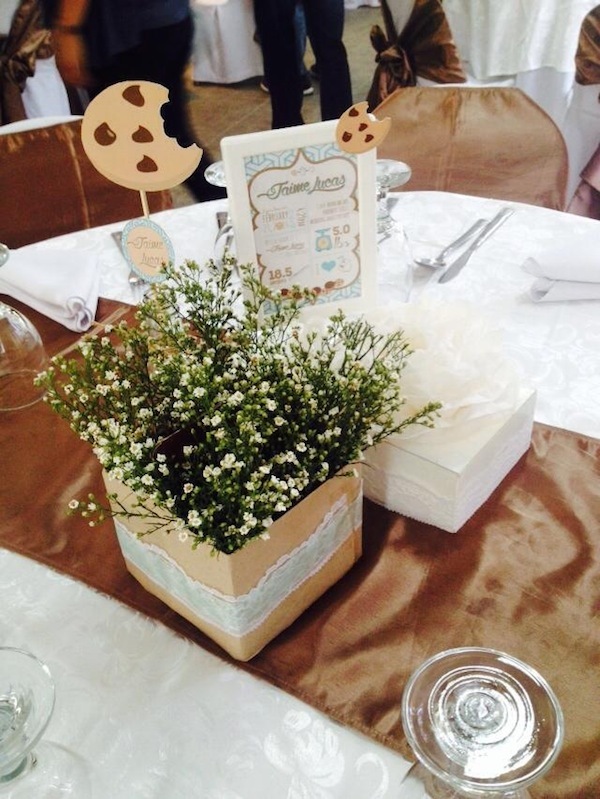 We just had a simple Christening party at the hotel! This is what I call a labor of love! DIY is not easy, it takes patience more than creativity. Wonderful job. Really inspiring! Nice theme. 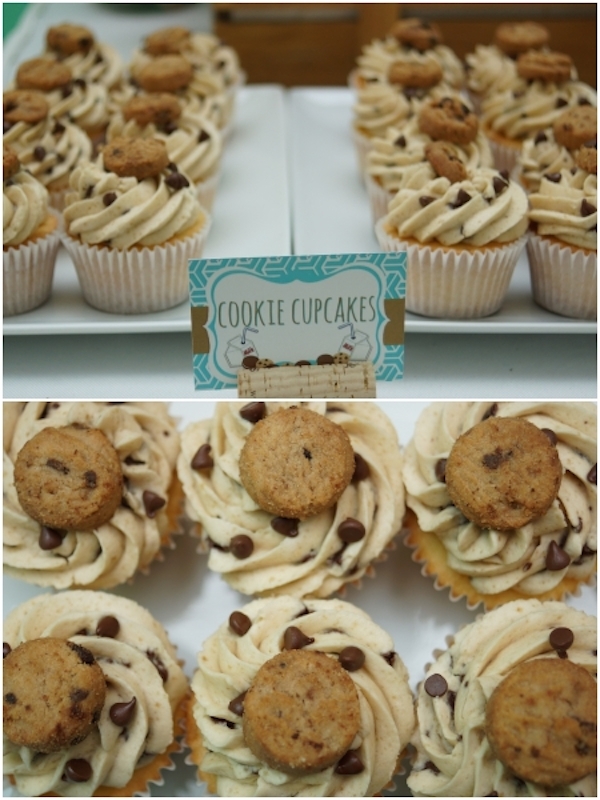 And I love the cookie cups ^^ Great job! 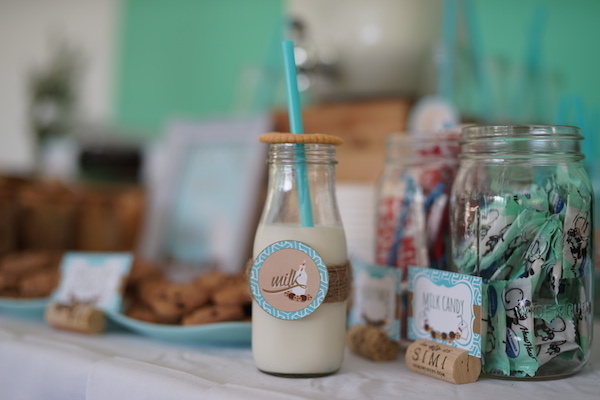 Monica, I really fell in love with your Milk and Cookies party!!!! Wishing I can do something that awesome, too. I am a lover of anything DIY. 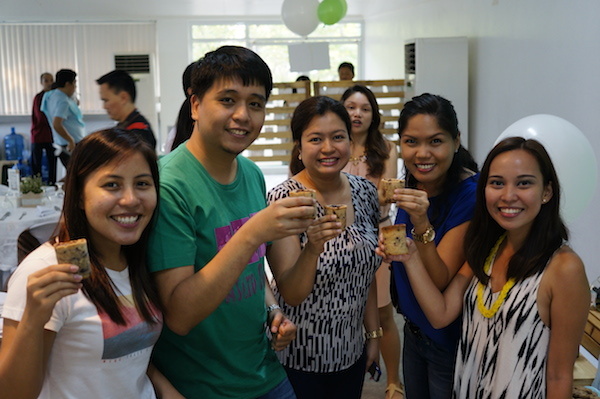 I super love DIY mini-house parties! 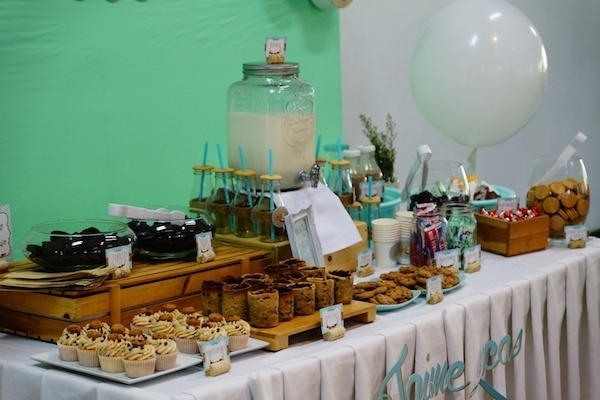 More power to Homemade Parties PH! God bless! Thanks Arge! I’m sure you can do it too! Share your party with us once you do! 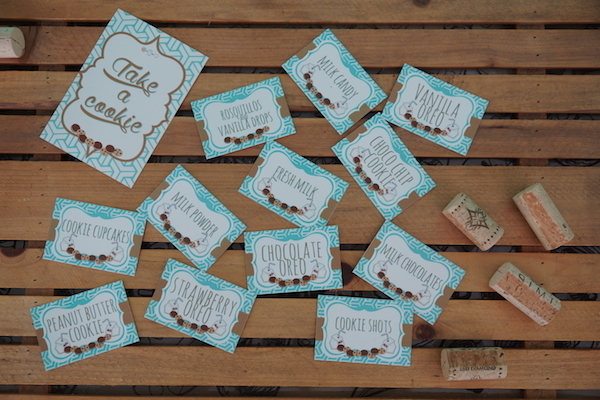 Do you sell or offer downloads of the cookie cut outs? Hi Deidre! 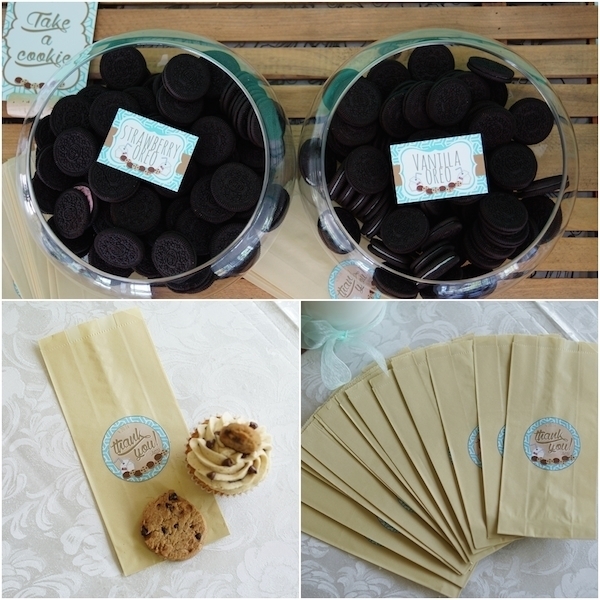 Please send us an email at askhomemadeparties@gmail.com and I’ll reply with the jpeg of the cookie cut out. 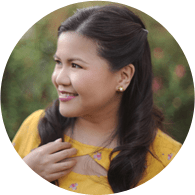 : ) Thanks for dropping by the blog.